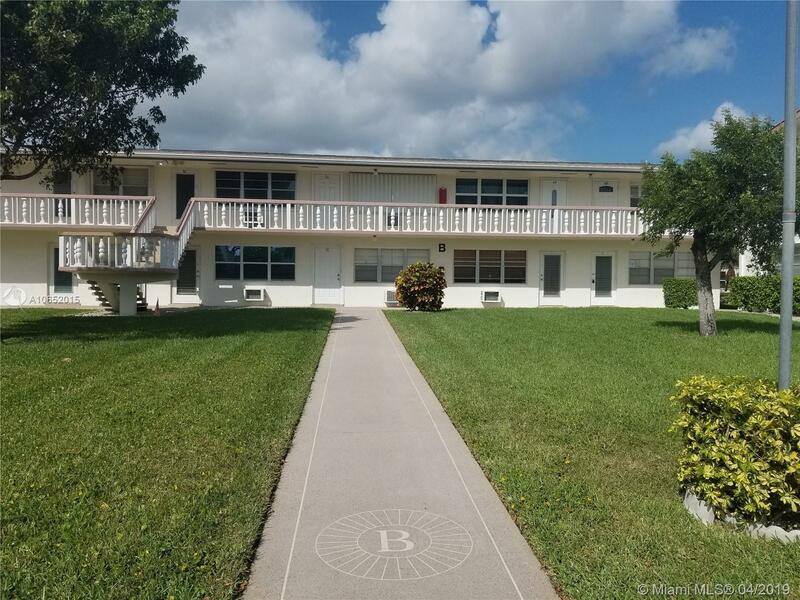 Excellent 1/1 condo in very active community close to everything Palm Beach has to offer. Building has a lift (elevator). Large master bedroom in the rear features a screened balcony overlooking the garden area. Newer wood floors and ceiling fans in kitchen and dining area. Pet friendly under 15 lbs. Can be rented after 1 year. Walking distance to the Main Clubhouse that is 135,000 SF of endless activities, clubs, billiards, theater and so much more! Outdoors you will find tennis courts, bocce ball, walking/jogging trails, walking pools, heated pools, shuffleboard, ponds and lakes. On site health club, health clinic and nail salon. Fabulous lifestyle and community! Directions: Okeechobee Blvd. To West Dr. Head North To Guard Gate. Pass Thru Guard Gate Continue On West Dr. Make Right On South Drive Make Right On Fairway St. Bldg. B Is On The Right Side.